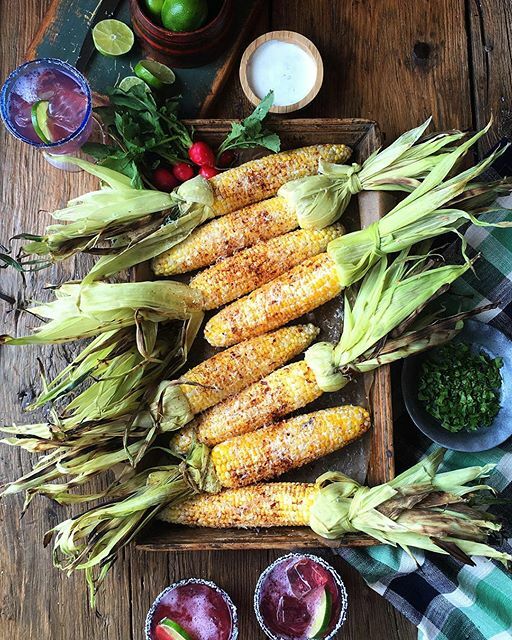 This updated Elote with Chipotle and Lime Crema is exceptional, and my dinner party guests raved about it. But save room to finish with @mixandmeasure’s Peanutbutter Rice Krispie Treat Cake! Perfection! See recipe elsewhere in this feed.